... "apologize to your students, law enforcement, and professors on your home page of your domain for a duration of no less then fifteen days!" 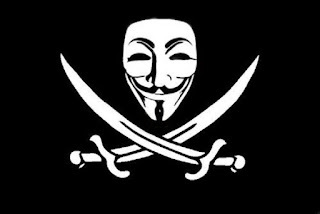 In a three-minute long video directly addressing the Computer Science (CS) and Law departments in particular, Anonymous claims to have obtained every students personal information including passwords, dorm information, payment and credit information, parent information, coursework and grades, as well alumni information. According to the video, Anonymous has deleted the information, which was poorly protected, from the University's website, but will post it publicly online if their demands are not met by Monday, May 6. University Spokesperson Robert Hill told EssentialPublicRadio.com that the school has examined its systems and found no evidence of any breach or stolen information. The YouTube video, posted by account AnonOperative13, suggests that University of Pittsburgh students who complained about the lack of internet security gave Anonymous the tip that the school's website was an easy hacking target. The video also suggests that the University's administration may have been involved in the arrests of several people who publicly supported Anonymous' efforts. "We found direct information leading to the arrests of several Anonymous supporters," states the electronic narrator. The video warning already has over 30,000 views on YouTube, and is the third of its kind posted by AnonOperative13. The threat from Anonymous comes soon after a series of bomb threats rocked the University. Throughout the past few months, a group calling themselves "The Threateners" claimed responsibility for a series of bomb threats, only stopping after school Chancellor Mark A. Nordenberg agreed to their demand and dropped the $50,000 reward for the apprehension of a student who pranked the University. Before coming to an end, the threats grew so bad that professors began to hold their classes outside, or offer them online. This message is directed toward the CS department and Law department of the University of Pittsburgh. We have several recorded phone calls between concerned students and Campus IT stating that some of their information was attacked and possibly leaked. The entire CS department has done absolutely nothing to prevent and protect the students of your University. We now have obtained access to every students password, username, email address', personal addresses, dorm room information, parental information, course information, payment information to include type of payment, amount paid and all corresponding Credit Card information. We also possess the equivalent data of the instructors, have access to all coursework, grades, and every student alumni's information. We also have access to the "Hydrogen" server and have helped ourselves to save over 200 gigabytes of information. We do not agree with your intentions, your lack of care for your student and their valuable; yet vulnerable information. We found direct information leading to the arrests of several Anonymous supporters. We will not tolerate this and now you will be held accountable for those actions. We have allowed enough time for you to right the wrong; but you have failed. You will now pay for the jailing of innocent people, lying to the law enforcement, allowing the security of this information to go untreated and saying nothing to the students of The university of Pittsburgh. We have taken the liberty to delete the vulnerable information so that it cannot be access by others. We would like you to simply apologize to your students, law enforcement, and professors on your home page of your domain for a duration of no less then fifteen days! If these are not met, we will have no choice, but to release the information as we see fit! The clock is ticking! You will now expect us! !